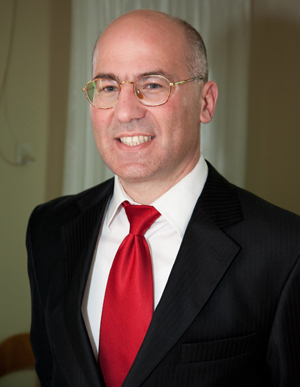 Professor Dr. Theodore Liolios is the Founder and Director of the Arms Control Center. He is a nuclear-atomic physicist whose research and teaching are focused on Special Weapons Effects and Defenses. He served as an Adjunct Professor (1998-2000) at the Special Weapons Chair of the Hellenic Army War College before being elected (2001) Professor of Physics in the School of Deck Officers at the Hellenic Merchant Marine Academy of Hydra (the oldest Maritime Academy in the world). In 2003 the faculty of the Academy elected him Associate Director of Undergraduate Studies. 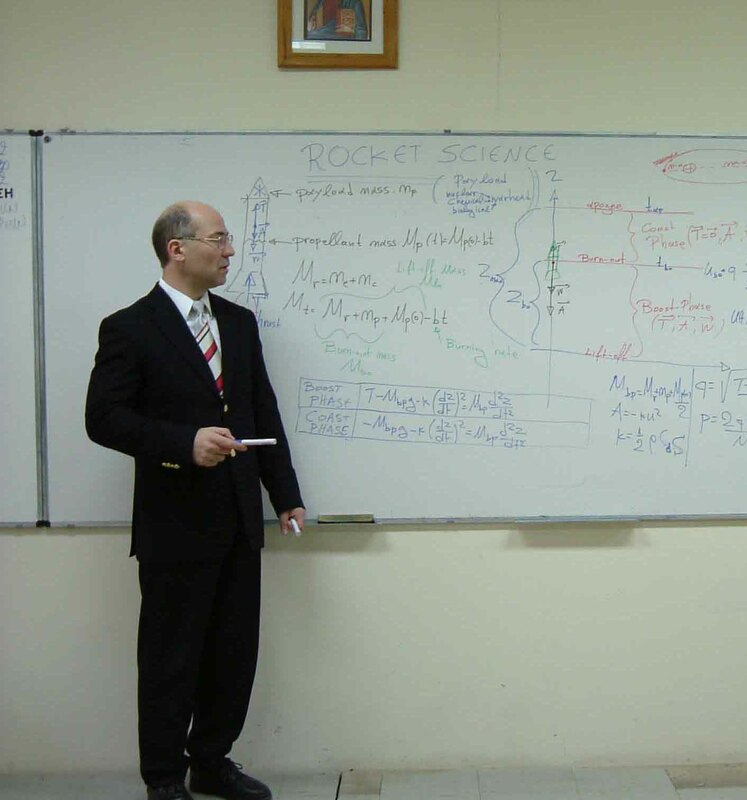 He resigned from the Merchant Marine Academy and joined (2004) the faculty of the Physics Department of the Hellenic Military University (Hellenic Army Academy) where he now holds a permanent teaching-research position (Professor of Nuclear Physics & Military Science). Since 2012 he has been the Director of the entire Division of Physical Sciences & Applications of the Academy and its Nuclear Physics Labs (he also served for three years as the Director of all physics and chemistry labs of the academy). His current research is focused on (a) nuclear-atomic physics, (b) homeland security, (c) Counterterrorism, and (c) special weapons effects and defenses. 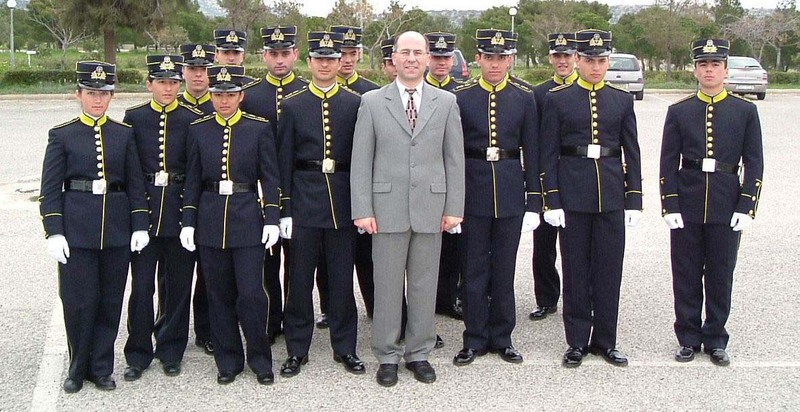 He is currently Associate Dean of the Hellenic Military Academy. He has been awarded various prizes and distinctions by the Hellenic Armed Forces for his teaching and research. He has taught hundreds of superior Hellenic Army (and many NATO) officers during his stay as an adjunct professor of the Hellenic Army War College (in the Special Weapons Chair). At the same time he carried out research in the field of arms control and non-proliferation for the Hellenic Army. He has supervised many graduation theses at the higher education institutes where he has served. He has taught hundreds of marine officers as a full professor of physics at the Hellenic Merchant Marine Academy many of whom are now High-Rank Officers of the Coast Guard or Captains of the Greek Merchant Navy fleet. He is the author of the book “Effects of Depleted Uranium Weapons and Nuclear Weapons Accidents”(in Greek, with a forward by the MIT Prof. Kosta Tsipis ) while lots of his unpublished notes are still used by the teaching staff of the Hellenic Army War College. 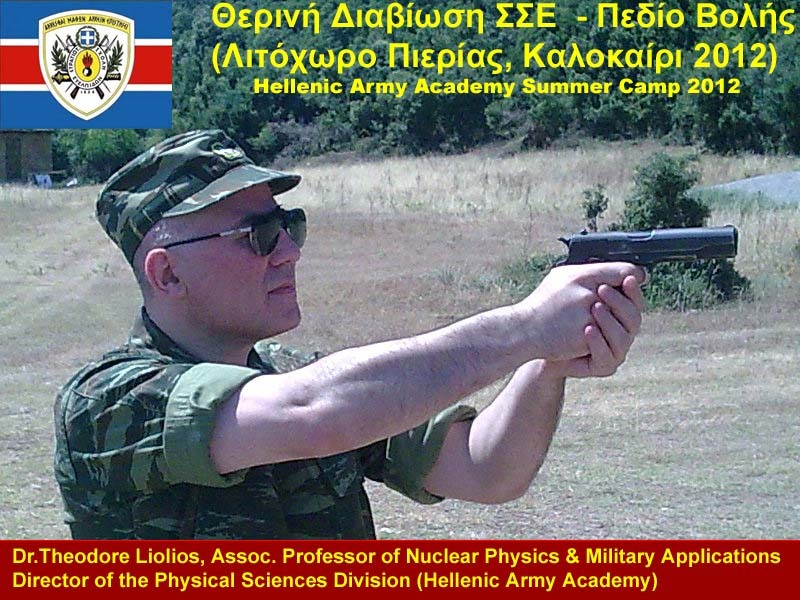 He is also the author of the book “Arms Control” (in Greek, with a forward by the Dean of the Hellenic Army Academy). Both books have been reviewed by the Hellenic National Defense General Staff, the Hellenic Army General Staff and the Military Science Chair of the Hellenic Academy of Athens. These authorities have all agreed that both books are excellent! He is an advisor to various members of the Hellenic Parliament while he very often appears on national channel TV debating issues related to special weapons effects and defenses. He is the Founder and Director of: the Arms Control Center. He is a member of the Hellenic Nuclear Physics Society and the Hellenic Nuclear Medicine Society. He has refereed articles for the world-leading nuclear physics journals: Nuclear Physics A, European Physical Journal A. Due to his expertise in radiological explosions, the Hellenic Ministry of Labor appointed him permanent inspector in the field of radiation control. He soon resigned from that position in order to fully focus on his academic career in Physics. The solar neutrino problem and the associated uncertainties of the standard solar model. Computational Nuclear Astrophysics: Prof. Liolios worked on the TYCHO stellar evolution code, developing further its capabilities. He often lectures on these subjects in Greece and abroad. After an invitation from Prof. Steve Fetter (Dean of the University of Maryland), Dr. Liolios joined the faculty of the CISSM (University of Maryland) under an official ministerial order which authorized his sabbatical leave (autumn semester 2007-08) from the Hellenic Army Academy. His research and lecturing was focused on the detection and effects of nuclear and radiological weapons. In the video below Professor Dr. Theodore Liolios appears on national Channel TV with the Greek Minister of Energy and three Greek Members of the European Parliament. The Director of EKEO is analyzing the effects of the Fukushima (Japan) nuclear accident using nuclear radiation detectors. See also below a brief tutorial by Prof. Theodore Liolios on Pipe Bomb Design, Effects, and Safety Measures.